Amazon may have been the first company to begin drone testing for commercial use, but that was back in 2013. Funding for drone related startups has more than doubled in 2014 to $100 million, and of course medical startups have not been left behind. 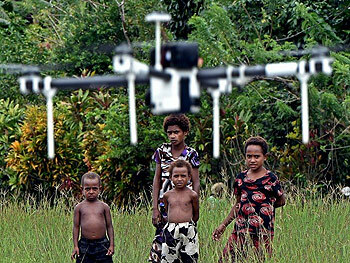 A drone, also known as an unmanned aerial vehicle (UAV) is most widely known for its role in military conflicts. It is radio controlled and most often relies on first person view (FPV) through a camera that streams a live feed directly to the controller; it therefore does not need to be within line of sight and can be controlled from several kilometers away. The interest in these mostly four (quadcopters) or six (hexacopters) engine little flying objects has skyrocketed over the past year. This happened since companies such as DJI, Parrot and 3DRobotics have made drones affordable and easily accessibly to the general public, thus raising everyone’s interest. Drones for sale are now found anywhere from the local electronic store to the large department stores. A wide range of models is also available on Amazon.co.uk. In fact you probably now know at least one person who has a drone, whereas civilian drones were pretty much unheard of before two years ago. Entrepreneurs in the medical industry have also begun prototyping and testing several of these drones that can be used for a range of purposes. 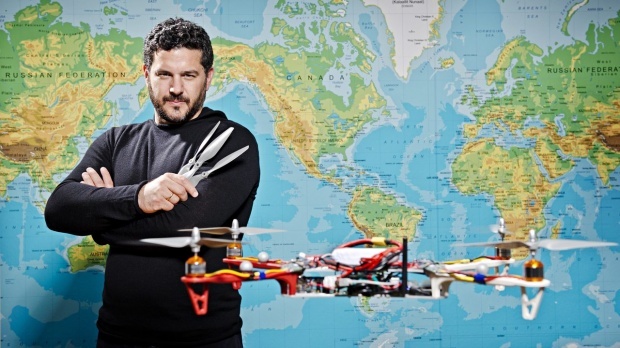 Andreas Raptopoulos from Matternet is aiming to build a network of ‘flying things’ to deliver critical medical supplies to inaccessible areas all across the world. His ambition may be set very high, but with one billion people living with no access to all-season roads, there is certainly plenty of room for improvement. The main problem lies in sub-Saharan Africa where 85% of the roads are inaccessible during the wet season. He recently gave a Ted Talk on the subject where he details his approach to connecting the developing world. He intends to build eight-propeller drones (octocopters) which would be able to carry up to 2kg, potentially making it a piece of cake to deliver required medication, decades before any sort of accessible road could be built, and at a fraction of the cost. 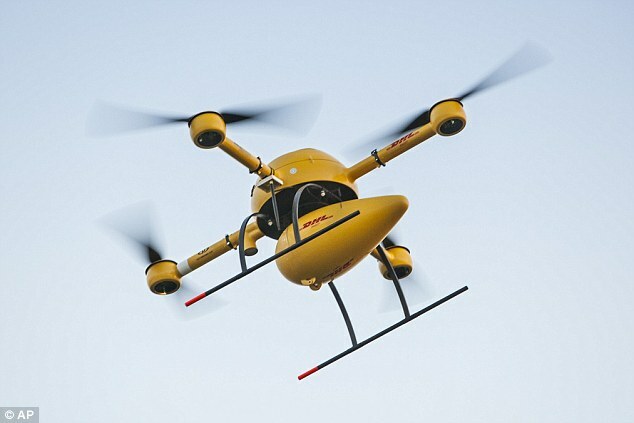 DHL AG also hit the skies last year by testing medication delivery to Juist, a remote German island in the North Sea. The drone would fly for approximately 12km off the northern coast of Germany and land directly in the recipient’s backyard. Currently in its prototype testing phase, DHL hopes to demonstrate that the technology is not that far for some real world applications. This is the drone that DHL is hoping will be used to deliver drugs and other supplies to remote areas in Western Europe. Google has also launched Project Wing, which has been running in secret for about two years and was only recently made public. 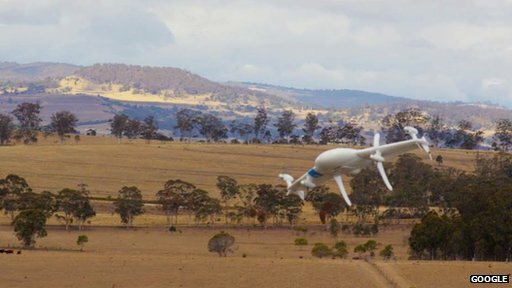 Their main aim is once again to build delivery drones that can be used for disaster relief by delivering aid, including water and medical supplies to affected areas. They are currently performing their flight tests in Queensland, Australia. Other than medication delivery, several other advances have also been made in drone use in medicine. This defibrillator drone may soon be used to reach cardiac patients in the community before the paramedics arrive. 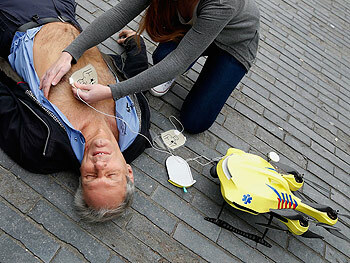 Alec Momont, of Delft University of Technology in the Netherlands designed a prototype used for delivery of potentially life-saving automated defibrillators – potentially the most exciting use of drones so far! The drone would also be equipped with a two way radio, camera and video screen that could be used to help out in case of emergency, whilst waiting for the paramedics to arrive. This would allow someone at the other end to instruct members of the public on the use of the defibrillator and how to perform CPR. “It is essential that the right medical care is provided within the first few minutes of a cardiac arrest,” Momont said in a press statement. The drone has not yet been tested on real patients, but Momont hopes that it will be available in the field over the next 5 years. Google’s recent patent application (8930044) indicates that the company doesn’t want to miss out on what is seemingly going to be an area of high interest for healthcare entrepreneurs. 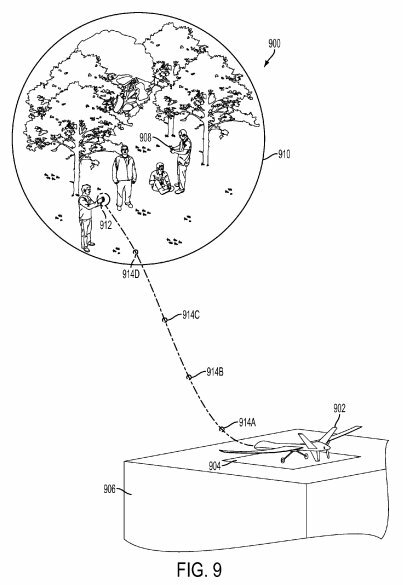 The patent is for a drone or a fleet of drones that would be able to fly out to a medical situation and carry various equipment required in cardiac arrest, trauma or other situations such as anaphylaxis or hypoglycaemic attack. The patent is especially interesting as it indicates detecting the location of the accident with pin point accuracy, presumably based on a mobile phone signal or other such gadgets. This would make it especially useful on those trekking trips gone bad. On the miniature scale, The Sheffield Centre for Robotics in the United Kingdom has engineered 40 prototype minidrones that move independently, but can also be programmed to move together when encountering specific stimuli. Dr Roderich Gross from University of Sheffield hopes that these microrobots could be combined with existing nanotechnology for better targeting than ever before. He believes that the robots could replace invasive surgery by swarming to the source of cancerous tumours and releasing the chemotherapy only where required. They may also be used to break down deposits in blocked arteries, whilst decreasing the risk of surgical complications. Commercial drone use is going to accelerate at an increasing pace in the coming years and this might just be the right time for all health entrepreneurs to become involved in this new exciting field. Have you got any ideas for potential drone uses in medicine? Doctorpreneurs would love to hear from you! I would suggest a drone that could carry patients medicine to its room in a hospital and programmed to give the patient at a specific time with a camera installed on it so that the nurse could see if the medication has been taken by the patient.